I’m not a blogger, I’m not a journalist, I just want something to share how Yoga changed my life. Letter from a reader sharing how Yoga changed his life and which yoga poses for Neck pain and Spondylosis are the reasons for that. I was born in 1988, among the first computer/technology/internet/gaming obsessed generation, having a normal life and of course not listening to the parents when they were yelling “sit straight or straighten your back” etc. After my 25th birthday I started having pain in my neck and upper back. I also noticed that I had something that looked like small bump on my upper back. After months of saying ‘its nothing‘ I started noticing it more and more and the pain wasn’t going away. I asked a friend that worked in a gym to suggest a masseur to “fix” me and after his first touch of my neck and back, he diagnosed me with spondylosis and scoliosis. Later on I visited a doctor to confirm it. I was shocked. After the doctor confirmed what the masseur previously said I dived into the internet to find a solution. I was looking for a solution that is affordable and that’s when I came across with Yoga. It’s been 4 years since my first yoga exercise and my life has changed. I don’t have pain anymore and my back has drastically straighten. My neck pain is gone, the bumps on the neck and back are not completely gone, but I have prevented them going from bad to worse. 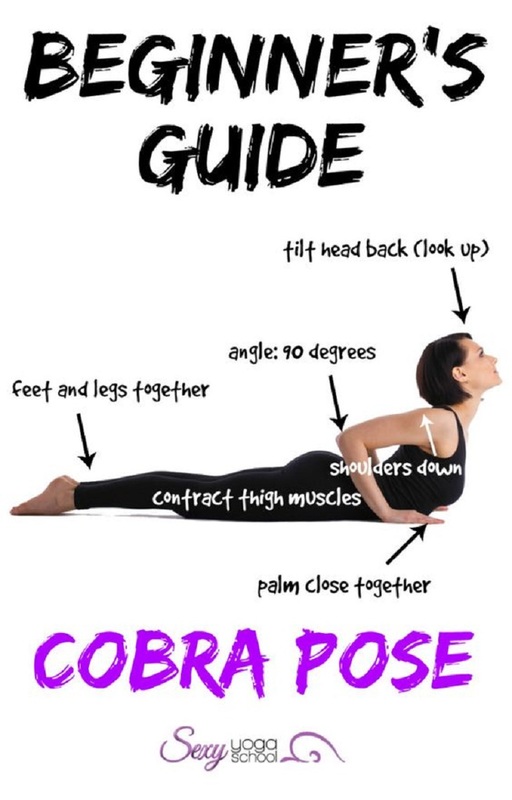 I want to share with you the yoga poses for neck pain and spondylosis that helped me tremendously and if you are like me having problem also with scoliosis you can read my other list here. I hope these exercises will help you like they helped me. However with the help of some easy yoga poses (asanas) we can manage the pain and slow down the process. Keeping the body mobile and strengthening the muscles are very important. The key is consistency so try to do these simple yoga poses for neck pain and cervical spondylosis on a daily basis. This asana strengthens the whole spine, stimulates abdominal organs and also helps relieve stress and fatigue. Lie down on your stomach bring your hands, palms down and place them next to your shoulders. Bring your elbows tucked into your body. Take a deep slow breath and slowly raise your body onto your elbows. Stretch your neck backwards and hold this position for a few breaths. Avoid straining your back! This is not just Yoga for neck pain, also people with back paint will find this yoga pose helpful. Makarasana or the Crocodile pose is used for relaxation. This asana is good for the spine to resume its normal shape and releases compression of the spinal nerves. Lie down on the floor on your stomach with your hands folded under your head. Stretch the legs as far as possible, the toes should point outwards. Relax the whole body and breathe normally and slowly. Stay in the pose for 5 minutes. Marjariasana, also called the cat pose gives the body a great stretch and it is excellent for improving flexibility of the spine as it helps to loosen up the vertebral column. 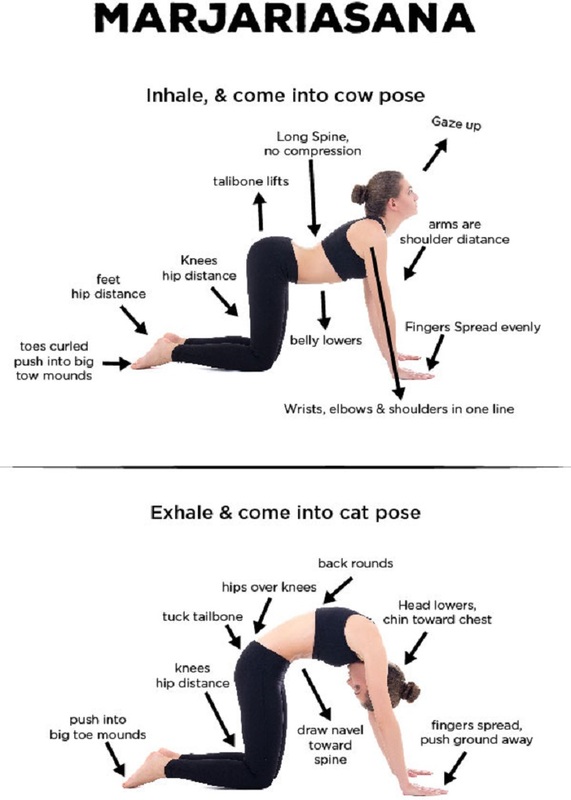 The cat-cow pose is highly beneficial for those people who have rigid spines, spondylosis and neck pain. This asana gently stretches and stimulates the spinal nerves. 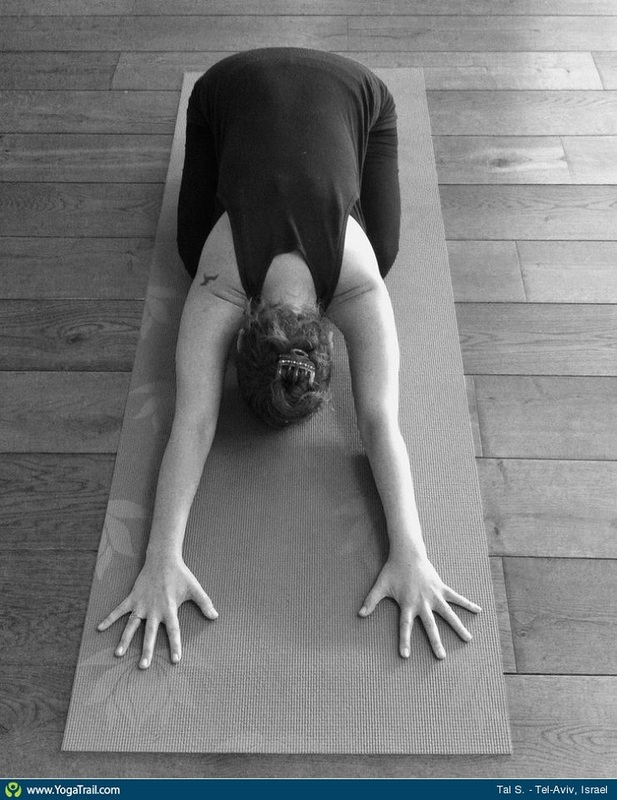 Fish pose or matsyasana stretches and stimulates the muscles of the neck and also strengthens the muscles of the upper back and back of the neck. It is a highly beneficial pose for people with cervical spondylosis. This posture is also excellent for relieving congestion. Sit on the floor with your legs stretched out, slowly relax backwards onto the elbows, letting the head dangle back between the shoulders. Stay in the pose for a couple of breaths and breathe deeply in and out. Balasana or Child’s Pose is a resting pose. You can take a break here and stay in this pose as long as you feel like. 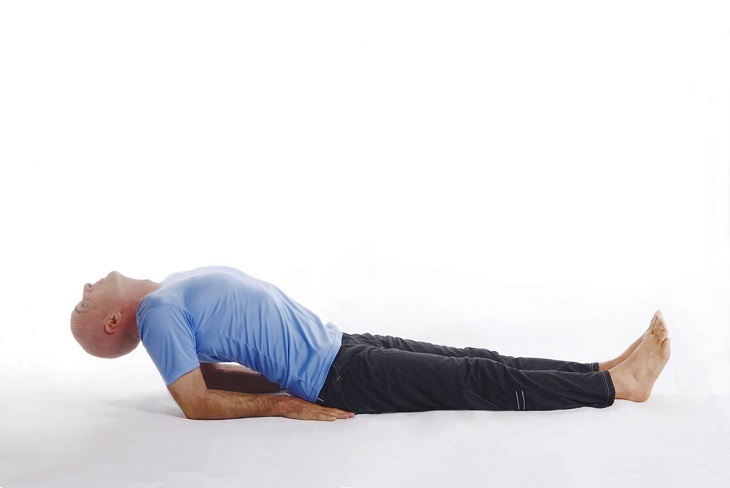 By relaxing your head on the ground, this posture relieves back and neck pain. It also calms the brain and helps relieve stress and fatigue. Kneel on the floor and touch your big toes together. Sit on your heels (if you have difficulty, place a folded blanket between your back thighs and calves) and open your knees hip-wide. Lay your torso down between your thighs and put your forehead on the ground. nice article. i will practice it at home. send me email if you have another like this. thanks.